And another Hamvention has passed into history! 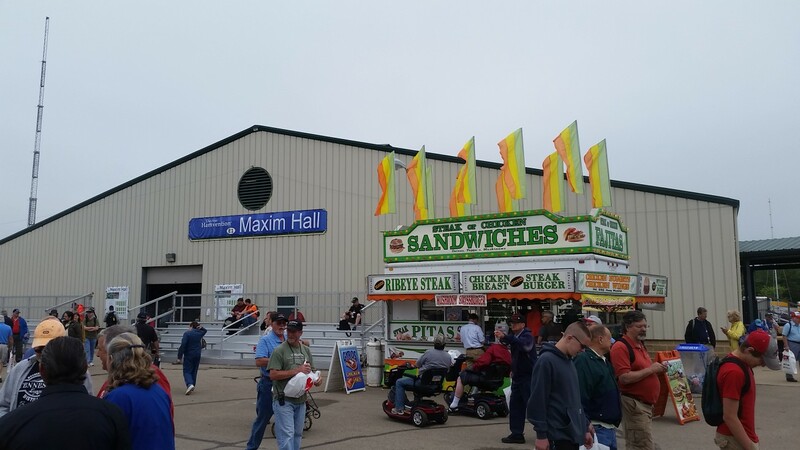 This was the one that we had waited for for ten months or so, since the Hara Arena announced that they were closing their doors forever last July and DARA announced that Hamvention was moving to a new location. In fact, many people that I know have waited even longer for Hamvention to change locations (ahem, Dan). Apparently so many people were excited to see the new digs that the attendance this year came to 29,296… almost 4000 more attendees than 2016, the biggest year-to-year jump in attendance ever, and the highest number since 1995 when attendance was 33,000. So we were all at least a little bit anxious to see how things would work out at the new venue after 52 years at the old Hara. I was almost as anxious as I was in 2005 as I walked into my first Hamvention. 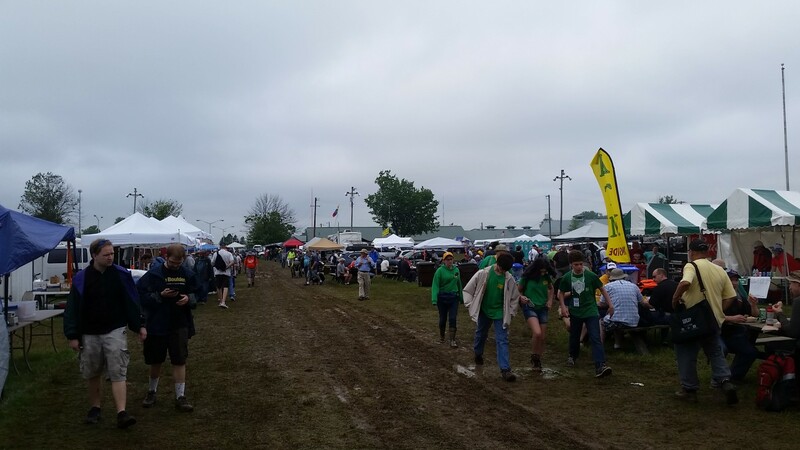 All in all, in my humble opinion, the first Hamvention at the Greene County Fairgrounds in Xenia was a huge success. Sure, there were things that went wrong, and corrections that will absolutely have to be made for next year, but for the first try after only ten months of planning, it went pretty well. Since so much has changed over the course of a year, I’m going to divide this review up into two sections — what I believe went well, and what needs improvement. Remember, this is my opinion only, and I know some of the problems that occurred were bigger for others than they were for me. This year, although the ticket prices went up three dollars, those three dollars included free parking (at the Hara, you could park at the old dead mall and buy a bus pass for $8, or you could park in somebody’s front yard for $20 (for the weekend) and walk across the street). You could choose to park right at the fairgrounds, or at one of the four remote lots. I chose to park at the Young’s Jersey Dairy lot which was the northernmost lot, since I was staying in Huber Heights (I thought about changing hotels but I couldn’t get rates lower than where I had reserved many months before). Since Xenia cancelled school that Friday, they were able to make their school buses available as parking shuttles for all three days. It was about a 20 minute ride to the fairgrounds. My original plan was to try to park right at the fairgrounds, but I had visited the site a couple of months prior and I had concerns that there would be a ton of traffic in tiny little Xenia. I was right – there were backups longer than an hour in that town Friday morning. Apparently by Saturday morning their police department was better able to handle it. On-site parking was at the fairground’s soccer field, which was subsequently destroyed after the heavy rains on Friday and Saturday turned it into a rutty mud pit. I’m glad that I used the remote lot and I plan to do the same next year. There were four indoor exhibit halls, not including “indoor” exhibit hall 6, which I will get to later. Buildings 1, 2, and 3 (Maxim Hall, Tesla Hall, and Marconi Hall) were larger steel buildings normally used for agricultural exhibits. Although I heard more than one complaint about the smell of animal pee, I didn’t smell anything of the sort… but maybe it was because by the time I got to the inside the smell had been overcome by that of the great unwashed. Building 5 (Hertz Hall) was a smaller hall, but other than that, it was relatively pleasant. According to the numbers, all of the indoor exhibit hall space was sold out this year, although I believe there were slightly fewer spaces than were available at Hara. Also, each exhibit hall had a directory at all of the doors showing which vendors were located and what their table numbers were. This was a vast improvement as well. As with the inside exhibits, the flea market spaces were also sold out. Again, my impression is that there were fewer flea market spaces available. This isn’t necessarily a bad thing — there used to be a bunch of empty spaces at Hara, so it balances out. Most of the flea market was located within the infield of the horse track. 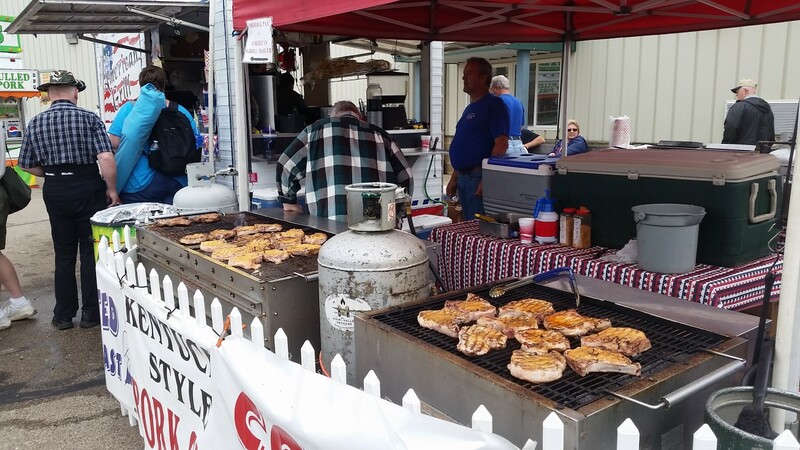 It was nice and grassy and beautiful, Friday morning anyway…..
Food offerings like you’ve never seen at Hamvention before! This is where they really knocked things out of the park — the food was wonderful. Imagine your local county fair, that’s about how things were here. I am partial to those gigantic flat pork tenderloin sandwiches, and they didn’t disappoint — neither did the big bone-in pork chop sandwich. You could find just about anything — meatloaf, biscuits and gravy, chicken and noodles, steak sandwiches… I heard a few people complain about the price, but the lines were long with visitors willing to pay for it. I didn’t bother to visit any forums this year but I did get to pop my head into one of the forum halls — they were much nicer than the cordoned-off “rooms” at the Hara Arena. My bathroom experiences this year were reasonable, of course, as a guy that can pee anyplace and onto or into anything as necessary, there’s not much I could complain about really. The Rumpke Raiders were there with their sparkling plastic huts as well, and they kept them pumped out as necessary. As most of my regular readers (all two of you) know, I’m generally a positive person, and willing to give DARA the benefit of a doubt when problems occur. I know a few things went wrong this year, but I’m not going to hold things against them, unless it happens again. Always remember, when you complain about Hamvention, please do so intelligently. I’m going to have to update that post for the new location. As I stated, I parked remotely so I didn’t get to experience the bottlenecks in Xenia on Friday. But, I heard that they had it under control on Saturday so there’s one lesson learned that has already been rectified. soccer fields was done for as well. Walking through those areas was damn near impossible, although I only saw a few Hamabouts (mobility scooters) actually get stuck, which was impressive. As the indoor exhibit space approached getting sold out, the Hamvention folks decided to add some large tents to a parking lot and create “Building 6.” Apparently, the story is that they ordered some really nice tents but ended up getting some large crappy tents with small holes. On top of that, the lighting inside consisted of strings of dim LED globes. It wasn’t horrible — well, until the monsoons came. My friend at Gold Medal Ideas had a booth inside one of them, and he told me horror stories of running to Walmart to get pushbrooms to push out the standing water that had collected underneath their embroidery equipment — apparently his booth was between the outer walls and the storm sewer. Of course, there are rumors flying about changes that will be made for next year. There are rumors of the Fairgrounds adding a new building, of gravel roads being added to the flea market areas to keep vehicles and foot traffic from creating a muddy mess, new tents for “Building 6,” and improved ventilation for the exhibit halls. Let’s let DARA and the Green County Fairgrounds people do their job, it’s likely that there will be many pleasant surprises next year. Last fall I had the opportunity to visit the Hara Arena when it was empty. Before that date, I had been to the Hara on 11 occasions, each May from 2005 through 2015. Each time it was full of happiness and life and RF energy. Sure, it was ugly, but it was a happy place. When I visited last fall and drove around the empty parking lots, it was more than ugly. It was longing for an event to make it come alive again! It was longing for the days that Wayne Gretzky played his first professional hockey game on the Hara ice. It was longing for the days when the Rolling Stones and Grateful Dead and AC/DC and The Who would rock the arena. It was longing for the days where high schools would hold their proms and people would have their wedding receptions in the Ball Arena. Nowadays it had to settle for gun and knife shows or the occasional toy show. But once a year, ol’ Hara got to host a three day Hamvention where the place would really shine. OK, so it would shine like a polished turd, but it still would shine. Each May at the Dayton Hamvention, people from all over the world, representing all seven continents, come together at the Hara Arena and celebrate their individual interests in one of the most varied of hobbies–Amateur Radio. The flea markets are full of antique radio equipment, the estates of silent keys, and equipment being sold so that the seller can buy new equipment. Inside the arena the manufacturers come to show off their new, fancy radios, and other vendors sell everything from RF connectors, LEDs and Arduino boards, to cheap imported wire strippers and super glue. The meeting rooms are packed to the gills with the forums, where the hams come to learn something new. And the whole thing happens in an arena and conference center that probably shouldn’t exist anymore. And, after the Comic Book and Toy Show on August 27th, it will cease to exist at all. At least as anything but an empty shell. Some of the regular attendees love the place and think it has character. Some hate the place and come anyway and complain about it. And some refuse to come to Hamvention at all because it is a dump. And it is. By all stretches of the imagination, it is a dump. There is not a white ceiling tile in the place. Each year a different plumbing fixture fails and is not repaired or replaced. The audio system in the main arena failed last year. The electrical system is scary. An attached outbuilding became unattached two years ago. And who could forget the day the main sewer line erupted in the flea market. The health department should have shut us down that day, but they didn’t and we made the best of it. If it was so bad, then why did attendance rise every year from 2008 (17,253) through 2015 (25,621)? 2015 was a 48% increase over 2008. And although the attendance dropped by a few hundred from 2015 to 2016, it was only by about one or two percent. The Hara Arena is like the crusty uncle that nobody in the family really talks to all year, but he comes to the family reunion every year and tells the best stories and dirty jokes. You’ve heard all of the jokes and stories before, and they get tiresome at times, but for some reason you look forward to hearing them. And you miss them a little bit after the reunion is over. And we just found out that our Uncle Hara is going into Hospice and won’t be around at the reunion next year. And instead of us thinking about how we will never hear his stories and dirty jokes again, we are thinking about how we will never again be able to walk the dark and dingy halls under the Arena stands. We will never be able to walk up the ramp in Audio Alley again. We will never again get to wait at the big roll up door for the inside exhibits to open at 9:00 AM. We will never again tromp through the mud to get to a Rumpke port-o-potty. We will never again be able to navigate our way through the exhibit halls using the stains on the wall and the ceiling. We will never again sit in the arena in the tiny seats and strain our ears during the final prize drawings. We will never again have the internal argument about either buying the $8 bus pass or paying $20 for the nearby private parking. We will never again purchase a cheap ham sandwich on a bun, or a slice of Hara pizza. We may not even get cheesecake on a stick! It definitely won’t be the same. And it will be a major undertaking for the talented folks at the Dayton Amateur Radio Association. They will need to rearrange the flea market and inside exhibits — something that hasn’t been necessary in 52 years. They will need to deal with new contracts for the facilities. They may even need to negotiate with trade unions to allow the exhibitors to set up on their own. And I guarantee that it will take a few years to make everybody reasonably happy. And I know that there will be hiccups next year. We all need to remember that we need to support the Hamvention folks 100%. They are all volunteers and do it for the love of giving us a place to go each May to celebrate our mutual interests. 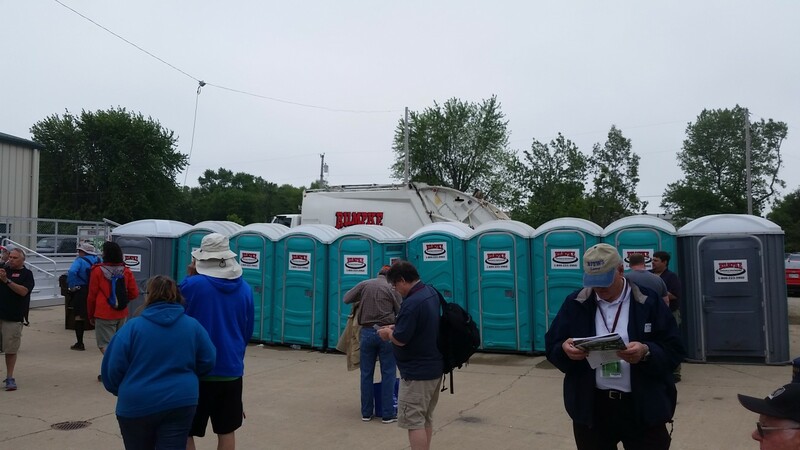 Some have wondered why the Hamvention has been held in a deteriorating dump for so long. It’s because the Hamvention has grown into the Hara Arena. It just fits. Moving it elsewhere will demand substantial changes to the experience for both attendees and the vendors. And I think that that is what we are all most curious and anxious about right now, as we await the final announcement of the new location. But curiosity and anxiousness aren’t all that we are dealing with. We are mourning the impending loss of Uncle Hara. And we are saddened that we will never have any more Hara experiences to pass on. To the Wampler family: I am sure that your feeling about the loss of your business are hundreds of times stronger than ours. I’m sorry that the infighting in your family has taken this toll on all of you. I know you tried. We will all miss you and your efforts to give us the best experience that you could. Thank you for 53 great Hamventions! To my friends at the Dayton Amateur Radio Association: We know that big changes are coming and we know that decisions will need to be made. We all have high hopes and we all know that you will get it done. Don’t be discouraged by those who choose to complain and whine, but please listen to those who thoughtfully make suggestions and provide constructive criticism. And most of all, thanks! Thanks for providing us this wonderful convention each year and thanks for having a contingency plan and thanks for committing to bringing us a 2017 Hamvention! Rest in Peace, Hara. We’ll miss you. The Dayton Amateur Radio Association (DARA) regrets to inform our many vendors, visitors and stakeholders that, unfortunately, HARA has announced the closing of their facility. We have begun execution of our contingency plan to move Hamvention® 2017 to a new home. DARA and Hamvention® have enjoyed many successful years working together with HARA Arena and we wish the Wampler family the best. DARA and Hamvention® have been working on a contingency plan in the event HARA would become unavailable. We have spent many hours over the last few years evaluating possible locations and have found one in the area we believe will be a great new home! Due to logistics and timing issues, we will make a formal announcement introducing our new partner. This information will be coming soon. We all believe this new venue will be a spectacular place to hold our beloved event. Please rest assured we will have the event on the same weekend and, since it will be in the region, the current accommodations and outside events already planned for Hamvention® 2017 should not be affected. We look forward to your continued support as we move to a new future with The Dayton Hamvention®. Editorial: Chinese Knockoff of Yaesu VX-8 pisses me off. Editor’s Note: It is accepted practice in the field of personal blogging to apologize and come up with excuses when one doesn’t update their blog for a few months. I’m not going to do that. I’m here now. Move on and read. For a number of years now, the Chinese have been shaking up the Amateur Radio market for beginning hams. Love ’em or hate ’em, you have to agree that Baofeng and Wouxun have definitely lowered the cost of entering the hobby, at least for UHF and VHF. I remember when I bought my first dual-band UHF/VHF handy talkie. It was a Yaesu FT-470. It was a beautiful radio. My dad drove me to Erickson Communications in Chicago to buy it. It had an MSRP of $395. I saved up real money for it (I think I was 16). And it was a brick. Probably the best HT that money could buy in the early 90s. Location — it is within driving distance from many areas of the Midwest and Great Lakes. Microsoft Streets and Trips lists the following cities within a three-and-a-half hour drive of the Coliseum: Chicago, South Bend, Grand Rapids, Lansing, Flint, Detroit, Toledo, Cleveland, Columbus, Cincinnati, Dayton, and Indianapolis. Another thirty minutes of drive time extends out to Milwaukee, Youngstown, Traverse City, Louisville and Lexington. And even here we’re almost reaching Pittsburgh, Peoria, and Springfield IL. Fort Wayne may be your standard “boring” Indiana town (I grew up in South Bend so I’m allowed to say that) but it’s not a bad place to visit. There are plenty of hotels there as well for those who don’t want to make it a day trip. Venue — the Allen County War Memorial Coliseum is a beautiful place with wide open exhibit halls and plenty of parking. Time of year — The Fort Wayne Hamfest is held almost exactly six months before the Dayton Hamvention. Which means it’s held almost exactly six months after the previous Dayton Hamvention. Which means right about the time that you’re hankering for a nice large hamfest, it’s mid-November and time for Fort Wayne. The downside to mid-November is the weather. This (and the layout of the Coliseum, probably) precludes outdoor tailgate sales and may affect participation due to the errant early winter storm. Admission costs — Admission to the Fort Wayne Hamfest is only $5 for both days. It’s $4 for Sunday only but from what I saw this year on Sunday, very few people came. Some of the vendors packed up and left Saturday afternoon. The Hamfest used to have extended Sunday hours of 9 AM through 3 PM but this year it ended at noon. The Coliseum charges for parking as well — it’s $5 per car per day with no in-and-out privileges. Come as a group and it’s not that bad. Vendor costs — Vendors can rent a table for as little as $25. Premium tables are $50 and electrical hookups are $30. 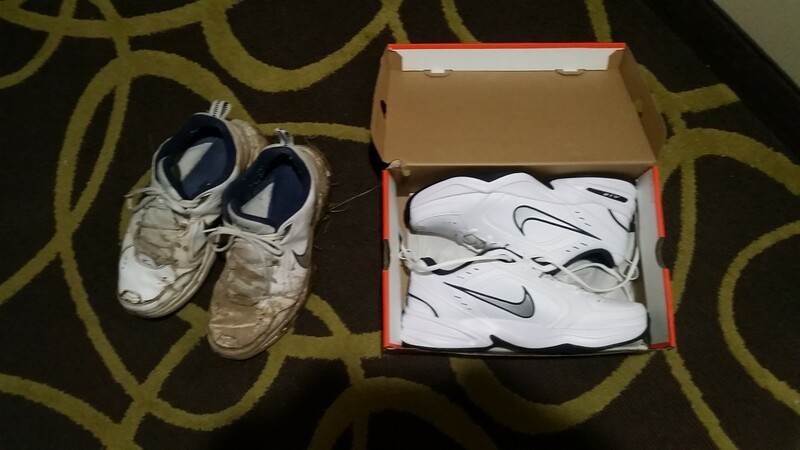 It doesn’t cost much to set up a place to sell stuff. Electronics History and News: Heathkit Finally Opens! Our friends at Adafruit Industries have been doing some sleuthing, and we agree- it’s time for an update. Happily, there’s plenty to report. Exciting things are happening in the Heathkit labs. We’re pleased at the great feedback from our beta-testers on a range of quality products we’ve been actively developing. As you know, we had hoped to get several of these new products out for the Christmas market, but our team is creating so many new ideas that we’ve been slowed by the sheer work of creating patents (by law we must file them before we may sell our new products, or even advertise them). We remain hard at work, and as excited as ever to ship finished new products meeting Heathkit’s high standards. Projects must be honest and clearly presented. Our community is built on trust and communication. Projects can’t mislead people or misrepresent facts, and creators should be candid about what they plan to accomplish. When a project involves manufacturing and distributing something complex, like a gadget, we require projects to show a prototype of what they’re making, and we prohibit photorealistic renderings. IF YOU HAVEN’T BEEN TO THE HAM RADIO SHOW IN FRIEDRICHSHAFEN, FIND A WAY TO MAKE IT HAPPEN BEFORE YOU DIE. I have a ton more pictures than I could ever fit into this blog entry. At the very bottom I have links to my Picasa albums. Feel free to take a peek! HAM RADIO (yes, that’s the name of the show, in ALL CAPS) is the premiere European ham radio convention, held annually at the Messe Friedrichshafen (roughly translated as “Friedrichshafen Fairgrounds”) in Friedrichshafen, Germany. For the past few years, they have also teamed up with Maker World, a parallel “Maker Faire” style event at the same venue, which is a match made in heaven. According to rumor, the HAM RADIO is the third largest amateur radio convention in the world, the Dayton Hamvention being #2 and the Japan Ham Fair in Tokyo being #1. I can’t yet find where the 2015 numbers have been released, but HAM RADIO in 2014 brought 17,100, up from 15,300 in 2013. In contrast, the Dayton Hamvention topped 25,600 in 2015. As much as I had promised myself that I wouldn’t compare this show to Dayton, I’m going to anyway. Just as a frame of reference. There are two marked differences between HAM RADIO and the Hamvention, the first being that the Messe Friedrichshafen is incredibly beautiful compared to the HARA Arena, and the second being that it appears that the HAM RADIO is a professionally run convention vs. the all-volunteer Hamvention. Let me stop there for a second — this is in no way saying that I’m favoring the professional approach over the volunteer approach. 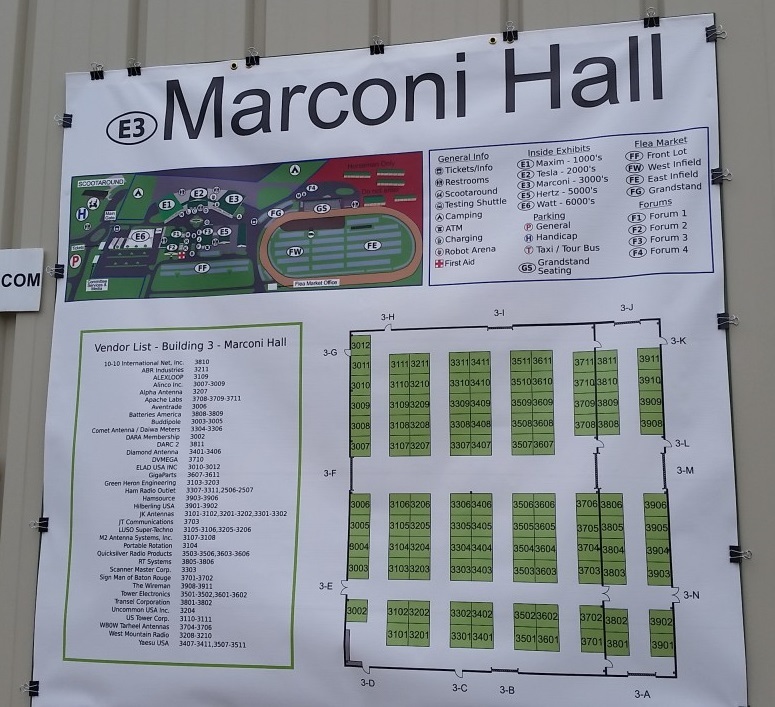 The HARA Arena works for Hamvention (it’s about the most suitable place for Hamvention within a two hour drive of Dayton) and I always really like to see how the Hamvention is pulled together each year by an all volunteer crew. But it’s refreshing to see a ham radio show run very professionally in a beautiful place. The Messe Friedrichshafen from the air. HAM RADIO uses the large building on the left, and the third and fourth buildings from the left. The fifth from the left houses the Maker World event. Wikimedia photo. Well-lit, wide open spaces and beautiful wood ceilings at the Messe Friedrichshafen puts the Hara Arena to shame. AD8BC Photo. outdoor flea market in Dayton on the broken blacktop, but this is easily made up for by the fact that, well, it’s inside. Building 5 houses the Maker World exhibits, and admission to Maker World is included with your HAM RADIO ticket (and vice versa). If you have been to Dayton, you have definitely noticed that it draws an international crowd. The HAM RADIO does as well, and they celebrate it! A tradition among the international clubs is that many provide snacks from their home country at their booths. My favorites included sliced fresh prosciutto ham and parmigiano reggiano cheese. The flea market tables were all indoors, and it seemed comparable to the flea markets at Hamvention and other large hamfests. Be assured that it’s not just American hams that load up a U-Haul trailer with “junque” year after year to sell. It was different junque with a European flavor, but still junque. Every one of those LEDs is surface mount. Visitors would be given one of those panels and be taught how to solder the LEDs. When finished, their panel would be clamped to the two powered hanger wires. AD8BC Photo. At the end of the weekend the LED panels stretched to the ceiling. AD8BC Photo. Maker World was held on that Saturday and Sunday in Building 5, and the HAM RADIO ticket also gained admission to this show as well. I have never been surrounded by so many 3D printers in my life. There were some robots (including a cool underwater robot), a case modding contest, a place to practice soldering surface-mount LEDs, and lots of Arduino and Raspberry Pi stuff. And a lot of people dressed in weird interesting costumes. The “Floppy Organ” makes music using the stepper motors in old floppy disc drives. I saw this in person. Click on the photo to see their YouTube video of the organ in action. AD8BC Photo. I have never been to a Maker Faire or similar show in the US, but it was obvious to me how well these two shows coexisted. Hams were the original makers, and there are so many parallels between the Maker Movement and ham radio in general. If the Hamvention ever shrinks down enough to free up a room (and this may not happen anytime soon given that the Hamvention this year only had a handful of empty tables!) I think it would be worth the effort to set aside space for Maker-type vendors and exhibitors. So, you’ve put the HAM RADIO show on your bucket list. You may be asking now if it’s difficult/expensive to get there. I’ll be honest, it ain’t cheap. But it ain’t difficult either. The two most expensive parts of this trip were flights and lodging. Even using my frequent flyer miles, I still had to cough up about $900 for the airline ticket from Chicago to Zurich. It probably would have cost me $1600-$2000 without the miles. I was blessed to have a metric ton of IHG (Holiday Inn Priority Club) points, and they had a brand new Holiday Inn Express a few blocks from the Messe, so that worked out swell for me. Most of you would probably need to pay for a hotel, and if you are used to American hotels, if I were you I’d try for this one. It’s an easy walk to the Messe, and they will call a taxi cab for you if you want to go into town. Everything else was easy. As in really easy. In fact, I’ll put it to you this way. Let the only barrier be the expense of the flight and rooms. Even dining isn’t that expensive. Everything else is simple and not worth worrying about. You won’t get lost or stranded, and it’s a pretty safe area. I flew from Chicago to Zurich Switzerland with a stop at London Heathrow, where I caught a train direct from the airport to Romanshorn Switzerland, and then crossed Lake Constance on a ferry which takes you right into Friedrichshafen, where I caught a cab to the Holiday Inn Express. The only time I needed to show my passport was when I landed in Zurich, and American citizens are very welcome there with no special visa. Everybody seems to know enough English to help you, whether they are selling you a train ticket or driving you in their taxicab. The trains in Switzerland are almost painfully on time, and right there in the Zurich Airport you can buy a round trip combination train/ferry ticket that will take you right to Friedrichshafen and back to the Zurich airport when you return. So let me say this again: Let the only barrier be the expense of the flight and rooms. This may not be as easy to get to as Dayton. But set a goal, save up, and do this at least one time. Don’t worry about not speaking the language, don’t worry about getting around once you get there. Don’t worry about getting lost. Friedrichshafen is a wonderful town with friendly people and good food. Visiting Friedrichshafen won’t be an annual trip for me (like Dayton) but I will definitely try to go every five years or so. I’m not a professional photographer and I have a ton of pictures, so I’ve opened up these albums on my Picasa page. Feel free to look around and if you have questions about anything, please email me or comment below! Published about three months too late from DFW, Texas. The first method is to measure and cut your coax so the entire cable run can be measured in 1/2 wavelength multiples. For the two meter band, a half wave is approximately 38 inches. Keeping your cable length within these 1/2 wave multiples will present a near 50 Ohm match at the transmitter end of the line. But how does this work? Say you where to take a length of 50 Ohm coax and put a 100 Ohm resister at the end. If you where to measure the impedance at the other end, what would it be? Not necessarily 50 Ohms. The reason is that coax offers a mix of resistive and reactive elements that change with the length of the coax. For example, using 1/4 wave length multiples of 75 Ohm coax will give you your 100 Ohm resister a 50 Ohm impedance at the transmitter end. Now if you were to substitute that resister with a 50 ohm antenna, using 1/2 wave multiples of 75 Ohm coax would give you a 50 Ohm impedance. Not too shabby. This practice works well with VHF as the 1/2 waves are relatively short, so you don’t need to contend with a bunch of extra coax cable. But as you lower the frequency, those wavelengths increase, to the point were you’ve got up to 120 feet of extra cable on the 75 meter band. ad8bc.com is hosted by qth.com, Internet domains and web hosting for hams and everybody else! michael henslee on Editorial: Chinese Knockoff of Yaesu VX-8 pisses me off. Gregory Sprowl on Editorial: Chinese Knockoff of Yaesu VX-8 pisses me off. 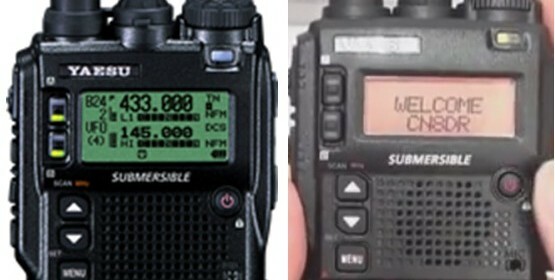 AD8BC on Editorial: Chinese Knockoff of Yaesu VX-8 pisses me off. 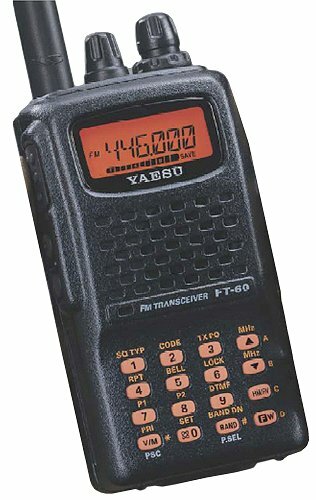 MN on Editorial: Chinese Knockoff of Yaesu VX-8 pisses me off.